by Mary Ellen Phipps, MPH, RDN, LD founder of milkandhoneynutrition.com We’re in the middle of winter and many parts of the country are covered in snow. Citrus fruits can offer a fun way to brighten things up any time of year, but especially in these cold winter months. Citrus fruits include: sweet oranges, mandarins, lemons, limes, grapefruit, and a few other lesser known varieties. Not only do they offer delicious taste, but their vibrant colors can brighten up any dish or beverage. You’ll find a huge variety of citrus at your local Sprouts Farmers Market. In addition to their great taste and pretty colors, they also come loaded with an abundance of health benefits. Likely the most well-known nutrient in citrus fruits is vitamin C, which can be found in all citrus fruits. In fact, just one medium orange or grapefruit provides 100% of your daily vitamin C needs. Citrus fruits also contain the B vitamins thiamin, niacin and B6. And potassium, an electrolyte essential for human health, is found in citrus fruits, along with phosphorus and magnesium. Other nutrients to make note of in citrus fruits include antioxidants such as flavonoids and carotenoids. Given the powerhouse of nutrients found in citrus fruits, it’s no surprise that there are a lot of potential health benefits when it comes to citrus and their (no-added-sugar) juice counterparts. Several of the nutrients found in citrus fruits help support a healthy heart and cardiovascular system. Specifically: vitamin C, soluble fiber and flavonoids. In addition, multiple studies have found lower rates of heart disease in people who consume higher amounts of citrus fruits as part of an overall balanced diet. Both the fruits themselves and juices have been found to have positive effects on heart health when consumed in appropriate amounts. Numerous studies have found that citrus fruits and the nutrients they contain may offer protection against certain types of cancer including: lung, esophageal, breast, stomach and pancreatic cancers. This is likely due to antioxidant activity (certain types of both flavonoids and carotenoids can act as antioxidants) to inhibit cancer growth and repair cell damage, as well as the fiber content. Diets higher in fiber are associated with lower cancer rates. Some research has shown that citrus fruits may protect our brains against inflammatory conditions like Alzheimer’s and Parkinson’s. Flavonoids (specifically hesperidin), found in abundance in citrus fruits, may slow the rate of deterioration, while also delaying the onset of these conditions. Vitamin C, potassium and magnesium (all found in citrus fruits) play an important role in bone structure, density and strength. And while calcium and vitamin D aren’t found naturally in large amounts in citrus fruits, the vitamin C content of citrus fruits can help increase the amount of calcium and vitamin D we are able to absorb from other foods. This why 100% orange juice is sometimes fortified with calcium and vitamin D.
People who eat less citrus fruits tend to have higher rates of kidney stones. One type of kidney stone is caused by low levels of citrate in urine. Consuming citrus fruits can help raise the levels of citrate in urine, and thus may help decrease the risk of developing kidney stones. It is hard for our bodies to absorb all of the iron we consume in food. In fact, it’s impossible. Depending on the source of the iron, our bodies will only absorb about 14–18% of the iron in our foods, but consuming vitamin C (which is found in large amounts in citrus foods) at the same time can increase the amount of iron your body is able to absorb. Many citrus fruits are in season in the winter time, which also happens to be the heart of cold and flu season. Consuming citrus fruits and juices can increase your intake of vitamin C, flavonoids and carotenoids which help support healthy immune systems by fighting inflammation and helping your body’s cells communicate with each other. Citrus fruits and juices can improve skin health because of their high vitamin C content. Vitamin C helps protect our body’s cells from damage, and even helps the cells repair themselves. People who consume more vitamin C may have a lower risk of skin damage from the sun (though you should always wear sunscreen!). Your body also uses vitamin C to build collagen which improves skin elasticity and tone. Several studies have linked the symptoms associated with asthma and citrus fruit consumption. Both Both vitamin C and flavonoids, may play a role in decreasing the frequency of asthma attacks and/or improving its symptoms. Believe it or not, eating fruit is not bad for people with diabetes and it does not increase your risk for diabetes. Studies have shown over and over that people who eat a diet rich in fruits and vegetables, specifically those higher in vitamin C and fiber, have a lower risk of diabetes. It also should be noted that vitamin C is a powerful antioxidant and may help prevent or reduce the amount if inflammation present in people with diabetes. So, whether it’s a grapefruit, lemon, tangerine or glass of 100% orange juice, rest assured you’ll do your body some good by reaching for those citrus fruits the next time you’re in the Sprouts Produce Department! Please note: The information contained in this article is not intended to treat, cure, or diagnose any medical condition and should not be treated as such. Please seek out your physician or dietitian before making changes to your diet. 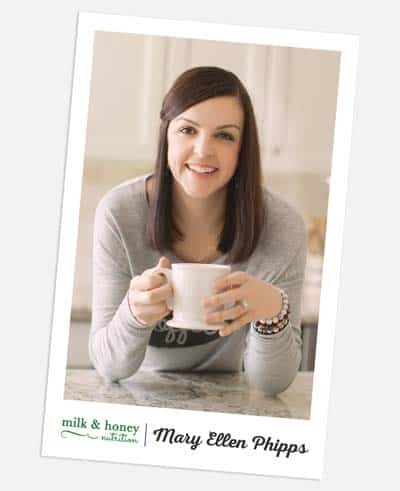 Mary Ellen Phipps, MPH, RDN, LD, is the Registered Dietitian, mom, food blogger and recipe developer behind milkandhoneynutrition.com. She’s also a type 1 diabetic and firmly believes food should bring us joy, not stress. Mary Ellen makes healthy eating easy, realistic and most importantly … fun! Visit her website and you’ll find yummy low-sugar, diabetes-friendly recipes the whole family will love … as well as helpful tips and a little mom humor.